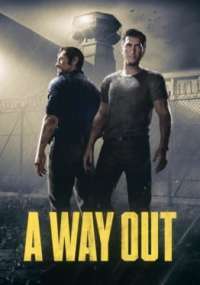 Can you play A Way out with a friend online? I like the look of this game but some of the material that I have read says that the game can ONLY be played in split screen coop. Does that mean I can only play the game with a friend who is sitrigs next to me or is also possible to play the game online with a friend instead of local coop? This is a unique kind of split screen game. You can play with a friend at home or online, but it will still be split screen. If you look over the launch trailers you will see that even when you are playing online, the screen you see is still a split screen view. This is done to let you see what the other players is seeing and give you an idea of what is going on. So the answee to you wuestion is yes it can.